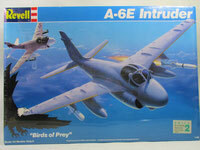 This page will include plastic and die-cast model kits by Revell, AMT, MPC, Ertl, Testors and others. They will be of cars, motorcycles, aircraft, trucks and any other model I come across. Most are 1/25 - 1/24 scale but some will be 1/43, 1/72 and 1/48 scale. All are New in Box, Factory sealed unless noted. 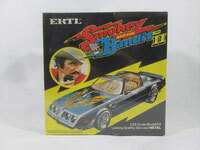 Ertl Stk# 8110 Smokey and the Bandit model car kit. Diecast 1/25 scale kit. New Sealed in box. Dated 1980. Hard kit to find! AMT Ertl Stk# 6277 1989 Chevy Corvette ZR-1 model car kit. Detailed 1/25 scale plastic kit, skill level 2. New Sealed in box. Revell Monogram Stk# 85-5944 Ju 52 Transporter plastic kit in 1:48 scale, ages 12+. Wing Span 24 in. Dated 1999 New in sealed box. 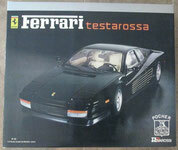 Tamiya Stk# 61049-4800 Mittsubishi Pastic kit in 1:48 scale, ages Adult. Dated 1996 New factory sealed. AMT Ertl Stk# 31918 Mummy Machine model car kit. Detailed 1/25 scale plastic kit, skill level 2. New Sealed in box. Pyro Stk# C279-200 American President Liner plastic kit. Molded in plastic from the 1960 -70's. New inside sealed. AMT Ertl Stk# 38527 Tiger Shark cutom dream rod model car kit in 1/25 scale. Detailed plastic kit, skill level 2. Limited Edition Toy Fair Exclusive 2006. New Sealed in box.